I just love sunsets and sunrises. I took this picture earlier this week. The colors are awesome. Enjoy your week. There is special about looking at a sunset. End of the day? God's creation? Beauty? Powerful? Mixuture of colors? Hi Judy! 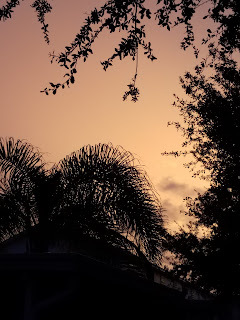 Florida skies are really special and your photo captures that. This season sure got away from us -- and here we are back in Oregon. I hope ext year I will be a better Florida friend.